Imagine fine English dining in the heart of West Sussex with views of the South Downs. Now add to that some stunning original artwork. Sounds great doesn’t it? 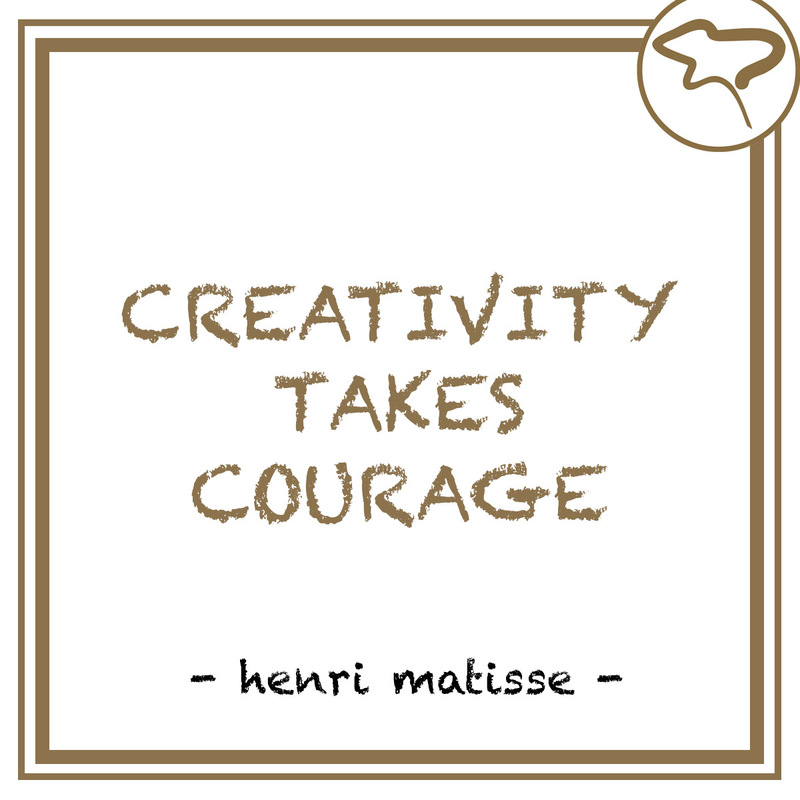 That’s why we have teamed up with The White Horse, Graffham to hand pick some artistic treasures to go with the décor and surroundings of this fantastic restaurant and bar. With a changing art display lovingly selected by both the Forest Gallery and the White Horse owners the artwork really adds to the ambiance of the dining areas. 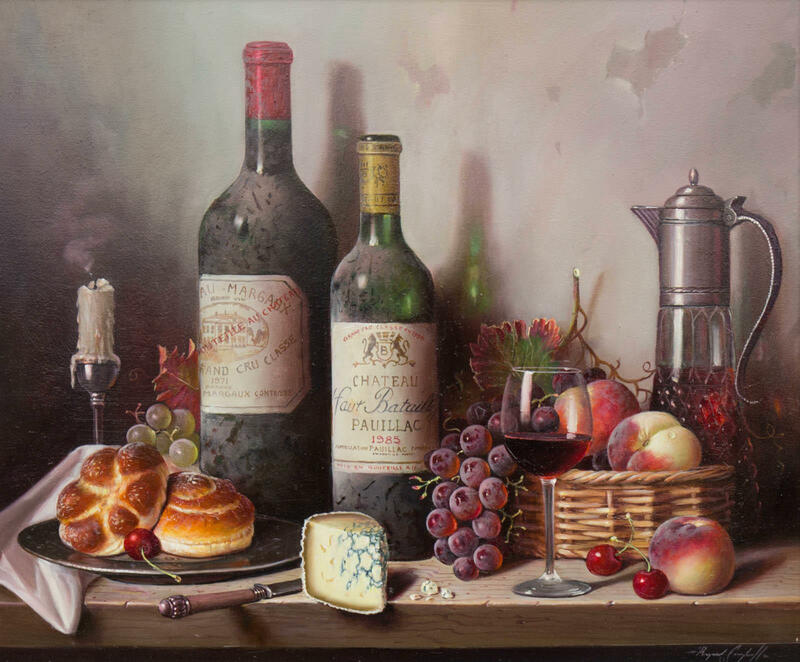 The art on display currently includes still life wine bottles by Raymond Campbell, the fun naive contemporary style of Scott Bateman and contemporary landscapes by Jay Nottingham and Alan Smith. If you are looking for accommodation in West Sussex then look no further than the adjacent Willow Barns. Perfect for a short break, the six stylish rooms are set around their own private courtyard with the added benefit of a lovely country pub on their doorstep. We have chosen some calming pieces by artists such as Veronika Benoni, Michael Claxton, Allan Morgan and Roz Bell to complement each room. A small selection of the artwork on display can be seen below including some lovely gold leaf pieces by Veronika Benoni. 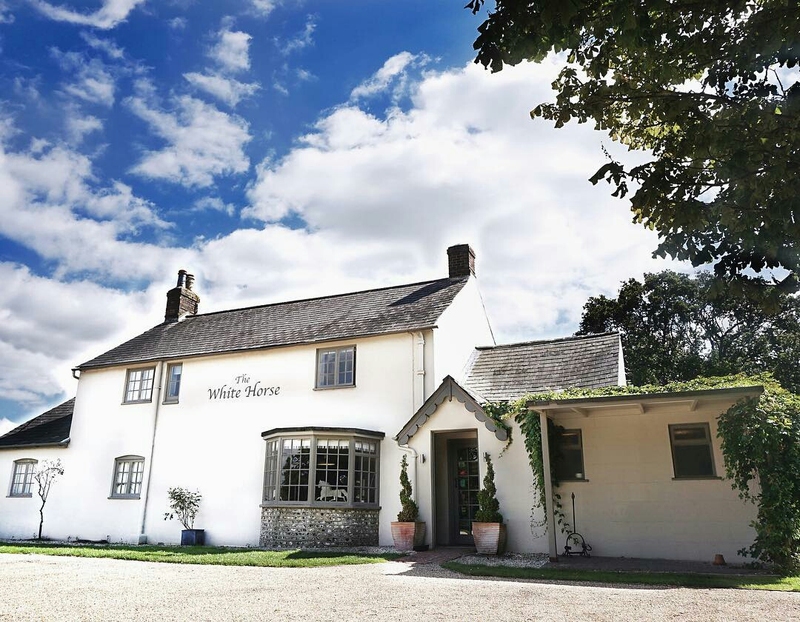 To book a stay in Willow Barns or a meal at the White Horse you can visit their website or alternatively call them on 01798 867331. If you would like to know more about what Forest Gallery can do for your business or to discuss trade opportunities please get in touch with us. We have consulted with various business including restaurants, offices, interior designers and developers to select beautiful artwork for many types of settings. 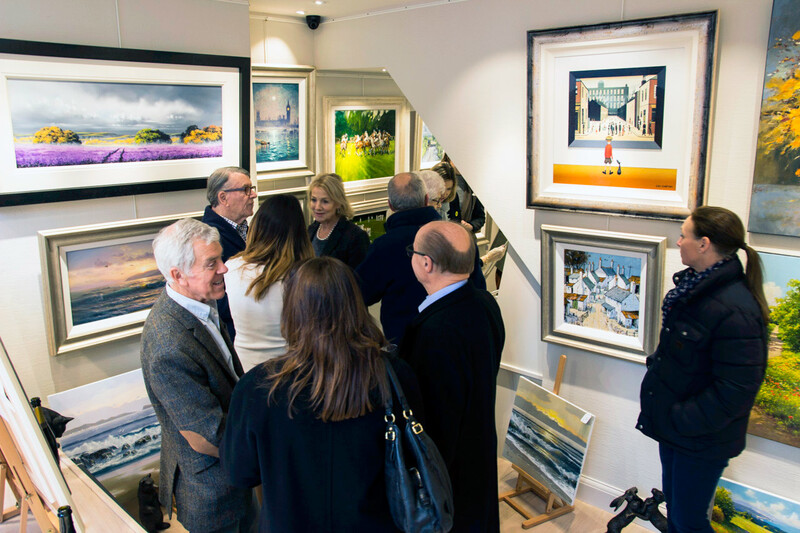 With over 30 years of experience Forest Gallery can offer a very wide variety of styles as well as bespoke framing and hanging services. Feature image and Raymond Campbell image credit and copyright The White Horse, Graffham used with permission.